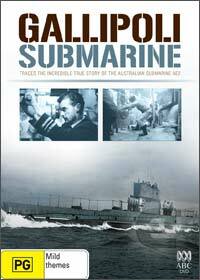 This engaging documentary revolves around the true story of an Australian World War 1 submarine that has been lost in the Dardanelles for almost 100 years. Commanded by Henry Stoker (no relation to Brad), this Irishman led his brave crew against the Turks as he attempted to sabotage the Turkish shipping lines. The documentary is masterfully pieced together with dramatic re-enactments and also current footage of the rescue attempt to uncover the hidden secrets of this amazing story. I for one was baffled to learn that submarines actually existed during World War I which makes this one of the most engaging documentaries that I have watched in quite some time.